Sky 4K Ultra HD box moves closer to launch | What Hi-Fi? 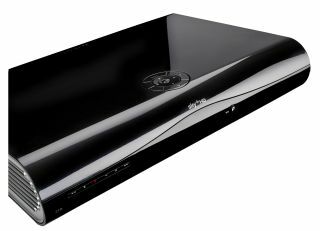 We've known about Sky's quest for a 4K-toting set-top box for the best part of 12 months - Project Ethan was established back in 2014 to overhaul its set-top-box technology. Now it looks like the company is finally ready to launch the next generation of Sky+ HD. According to the Daily Telegraph, Sky's new box - called SkyQ - will provide an "Apple and Netflix-style" experience, with a refreshed user interface making the programme guide "much more visual". It's also believed the new box will be able to record at least four different programmes simultaneously, double the current capability of the award-winning Sky+ HD box. SkyQ will also be able to stream content to multiple devices around the home, including smartphones and tablets. Sky was rumoured to be fast-tracking its new set-top box with the aim of beating BT to the punch. However, following BT's recent announcement that its Ultra HD sports package will be launching on 2nd August for £15 per month, complete with a new YouView+ set-top box designed by Humax, it appears Sky has lost this particular race.